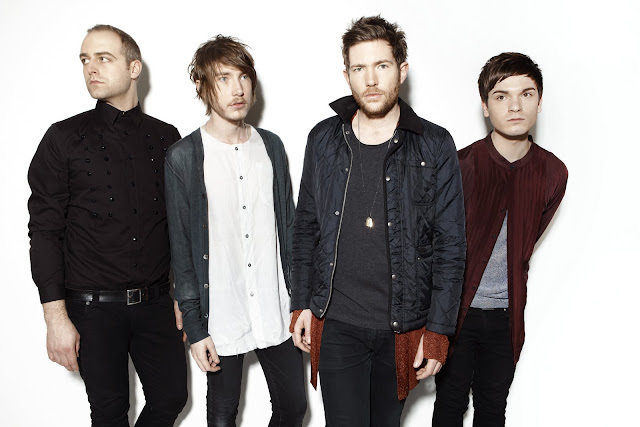 It's great when you can take something as serious as cancer and turn it around into something positive, and that's EXACTLY what UK electro-pop band Fenech-Soler has done. Recently diagnosed with early stage testicular cancer, lead singer Ben Duffy is currently embarking on a short course of chemotherapy which has forced the band to reschedule their forthcoming UK tour dates. As devastating as this news must have been to take, Duffy seems to be taking it all in stride and really thinking about the positive. "We are really sorry to postpone these shows. The diagnosis has been a big shock for all of us but on the positive side it has been caught very early and the recovery rate for this type of cancer is extremely high. I will be continuing to write and work with the band during my treatment and the others will continue to fulfill all DJ engagements. Everyone is very upbeat that I will be fighting fit again in a couple of months. We just want to ask our fans to bear with us while I have treatment and recover. I can't wait to get back on stage and continue with what has been an amazing last year for us"
"We want to do something positive with this situation and we can do that by giving money to Teenage Cancer Trust and helping to create awareness about the amazing work they do." AMAZING. Despite this blow, the band is continuing on with plans to promote and release their forthcoming album later this year. Check out the brilliant new video for "Stop and Stare" below. The band's full length debut album is due out in the Fall. Download the Demons EP on iTunes HERE. If this is the end of the world, then I want to be there for it! Yes - I'm late with this one as well. The video for Britney Spears' second single off of Femme Fatale, "Till The World Ends" was released on April 6th. Set at an underground dance party on December 21st 2012, the Ray Kay-directed clip features Brit Brit dancing like it's the end of the world. The club scene was filmed in a basement somewhere in Los Angeles and gives off a "I'm A Slave 4 U" vs. "Dirrty" kind of vibe. I like it. While Britney's doing her thing with her dancers, the world is of course ending all around her. Britney's been getting criticism lately over her "anemic performance" and seemingly uninspired choreography. To some degree I can see where they're coming from but at the same time - Britney's older, she's had kids, she's had a break down - LEAVE HER ALONE! It's a quality video for a quality song off a quality album. Make sure you check out the alternate video for more shots of Britney dancing and a different ending. "Till The World Ends" debuted at #20 on the Billboard Hot 100 chart when it was released. The single would go on to become Britney's tenth top ten hit, ultimately peaking at #8. The international success of the single has been mixed. Over in the UK the song only managed to peak at #21 on the UK Singles Chart. Not bad but not amazing. "Till The World Ends" was written by Dr. Luke, Alexander Kronlund, Max Martin and Ke$ha and produced by Dr. Luke, Max Martin and Billboard. The song has been remixed by the Bloody Beatroots, White Sea, Kik Klap, Alex Suarez, Friscia and Lamboy, Varsity Team and Karmatronic. An EP of the remixes is now available on iTunes (download HERE) and the song has, to date, reached #17 on the Billboard Hot Dance Club Play chart. Love this song, but I'm still hoping "I Wanna Go" is single #3. When I got an email about Black Porcelain, I got excited because I thought it was in reference to Universal recording artist, Porcelain Black (who's song "This Is What Rock N Roll Looks Like" I'm currently obsessing over). It was not. Bummer. Then I gave her EP a listen and all traces of disappointment melted away as soon as she started singing. WOW. <3. Black Porcelain is a South African pop/soul singer/songwriter in the midst of working on her forthcoming debut album, Invincible Summer. Lucky for us, Black Porcelain has put up a free 3-track EP, TheInBetween, on her SoundCloud page for us to download, and download I did. I highly recommend this lady! If I had to compare her sound to other artists I might say she's a mix between Estelle, Erykah Badu, Mary J. Blige and Jill Scott. A pure pleasure to listen to, Black Porcelain infuses both R&B and electronica into a trippy, yet silky smooth sound. Give it a listen below and if you like what you hear - why not download it? It's free after all! While you're at it, check out THIS VIDEO of Black Porcelain recording the EP at Red Bull Studios in Cape Town . Pretty cool to see her do her thing in the studio, right? 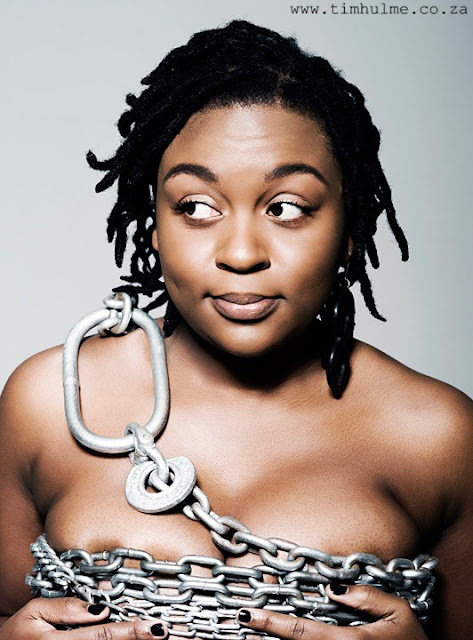 Black Porcelain recorded this EP during a difficult time in her life, having just been unfairly fired from her job as a radio presenter and in the middle of a tiresome legal battle. Not only did all of this turmoil leave her virtually penniless, but emotionally drained as well - so much so that she couldn't even write. While she was in the studio laying down vocals for a charity single ("Make It Count" - recorded for ARASA - AIDS and Rights Alliance for Southern Africa) she met producer O’ltak, who in turn offered her a beat called "Clowns Joy." Channeling all of this pain and frustration it into songwriting again, Black Porcelain turned "Clowns Joy" into the autobiographical piece it is today. Another positive that came out of this whole process - Black Porcelain discovered electronic music, never having dabbled in it prior. Turns out it was a match made in heaven. The second track on the EP, the electro-soul infused "Butterflies" has already received airplay all over Europe, including Germany, Belgium, Greece, Russia, Austria and more! Impressive feat for an unsigned artist, no? Black Porcelain is definitely deserving of my "Ones to Watch in 2011" label. Here's hoping we see lots more of her in the coming months. Hot Interview Alert: Tatiana Discusses Her New Single, Her Accent, Single #2 and more! These next couple weeks are certainly going to be quite the whirlwind for singer/songwriter Tatiana Okupnik -AKA Tatiana. Tatiana released her official debut single, "Spider Web" this past week. "Spider Web" is Tatiana's debut UK single and the title track off her album, which is due out in two weeks on May 1st. Her album blends pop, jazz and R&B - at times sounding a bit like Amy Winehouse - but mostly staying true to herself. Tatiana has been busy in London promoting her single (UK fans can download it HERE) and she took a few moments to answer some of my questions. MIMKSB: Hi Tatiana! Thank you so much for taking the time to answer some of my questions today. Congratulations on the release of your first UK single, "Spider Web." TATIANA: Hi Jamie and Thank you! The 18th of April will be my special day. The date of my first international release. Spider web is out there and you can make it yours just by clicking http://itunes.apple.com/gb/artist/tatiana/id429348352. Am I being too pushy? MIMKSB: You’ve had considerable success in Poland, first with Blue Café and ultimately as a solo artist. What would you say, are the biggest differences between the Polish music scene and the UK music scene? T: I'd say the main difference is the number of platforms you can present your music on. In the UK there are more festivals, more music shows you can take part in. One of my favourites is Later...with Jools Holland. Opening Time Out magazine you see how many options every music lover has got for the weekend. We're not talking only about the mainstream. This is what I love about London. I'd say that the competition is bigger in the UK. But hey, we all love a little bit of adrenaline. Don't we? MIMKSB: Do you have any concerns or worries about launching yourself in Europe? As you’ve said, London is the capital of the European music business, whereas Poland is a little bit more isolated – musically speaking.